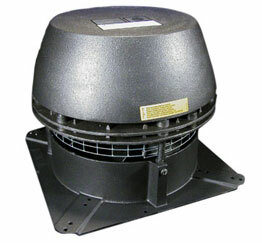 The EXHAUSTO Chimney Fan is the guaranteed solution to stop smoking fireplaces. EXHAUSTO's extremely quiet and reliable chimney fan maintains the perfect draft to ensure a smoke free environment. The fan is easy to use and virtually maintenance free. It can be used with wood or gas fireplaces as well as coal and oil fueled appliances. The fan duplicates as a ventilator: Simply turn it on to rid your home of stale air, cigarette smoke, etc.